That's right, this month the legendary Donald Pleasence, is my icon of the month. Pleasence was born on 5th October 1919 in Worksop, Nottinghamshire, England, the son of Alice and Thomas Stanley Pleasence, a railway stationmaster. He was brought up as a strict Methodist, and raised in the small village of Grimoldby, Lincolnshire. Pleasence attended Ecclesfield Grammar School, in Sheffield, Yorkshire, and subsequently dropped out to work as a railway clerk, while looking for a job as an actor. During World War II Pleasence was initially a conscientious objector, but later changed his stance and was commissioned into the Royal Air Force, serving with 166 Squadron, RAF Bomber Command. His Avro Lancaster was shot down on 31 August 1944, during a raid on Agenville. He was taken prisoner and placed in a German prisoner-of-war camp, where he produced and acted in plays. He would later play Flight Lieutenant Colin Blythe in "The Great Escape" where much of the story takes place inside a German POW camp. In 1939 Pleasence started working in repertory theatre as an assistant stage manager with Jersey Repertory, making his acting debut with the company as 'Hareton' in "Wuthering Heights". He subsequently worked in repertory theatre in Birmingham and Bristol before making his London stage debut as 'Valentine' in "Twelfth Night" in 1942. In the 1950's Pleasence's stage work included performing as 'Willie Mossop' in a 1952 production of "Hobson's Choice" at the Arts Theatre and as 'Dauphin' in Jean Anouilh's "The Lark" (1956). In 1960 Pleasence won acclaim as the tramp in Harold Pinter's "The Caretaker" at the Arts Theatre, a part he would again play in a 1990 revival. 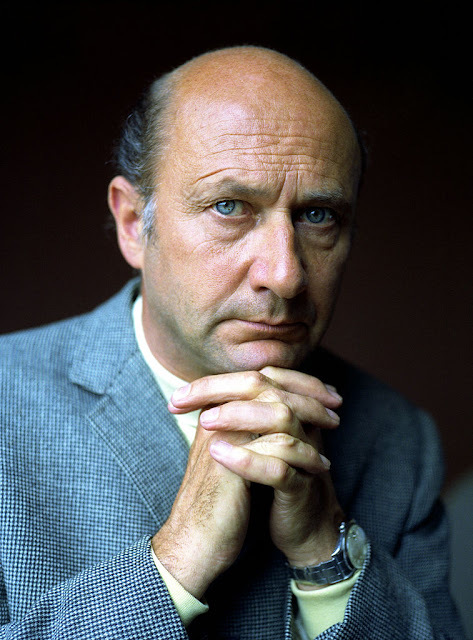 Other stage work in the 1960's included "Anouilh's Poor Bitos" (1967) and Robert Shaw's "The Man In The Glass Booth" (1967), for which he won the London Variety Award for Stage Actor of the Year in 1968. Pleasence's later stage work included performing in a double bill of Pinter plays, "The Basement" and "Tea Party", at the Duchess Theatre in 1970. Pleasence made his television debut in "I Want to Be A Doctor" in 1946. In 1954 he received critical acclaim as 'Syme' in a BBC adaptation of George Orwell's novel "Nineteen Eighty-Four". 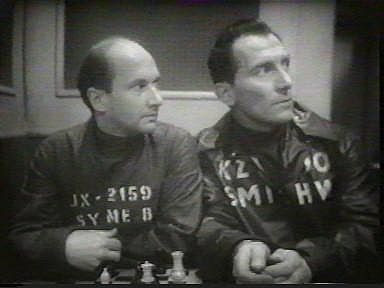 The adaptation was by Nigel Kneale and also starred Peter Cushing. Pleasence played Prince John in several episodes of the ITV series "The Adventures Of Robin Hood" (1956–1958). He appeared twice with Patrick McGoohan in the British spy series, "Danger Man", in episodes "Position Of Trust" (1960) and "Find And Return" (1961). 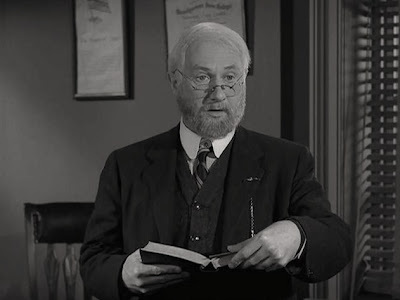 Pleasence's first appearance in America was in an episode of "The Twilight Zone", playing an aging (and suicidal) teacher at a boys' school in the episode "The Changing of the Guard" (1962). In 1963, he appeared in an episode of "The Outer Limits" entitled "The Man With the Power". He hosted the 1981 Halloween episode of Saturday Night Live with music guest Fear (which, because of Fear's raucous performance and the ultra-dark humour of the sketches, has never been re-transmitted on television since its original airing). In 1973 Pleasence played the murderer in an episode of Columbo entitled "Any Old Port In A Storm". He also had the distinction of playing a culprit captured by 'Mrs. Columbo' in "Murder Is A Parlour Game" (1979). In 1978, he played a 'Union General' in James A. Michener's "Centennial". Pleasence starred as the 'Reverend Septimus' Harding in the BBC's 1982 TV series !The Barchester Chronicles!. In 1986, Pleasence joined Ronald Lacey and Polly Jo Pleasence for the television thriller "Into The Darkness", filmed in Manchester and Malta by David Kent-Watson for his Ice International Films. Co-stars Brett Paul and John Ryan, and the supporting cast of models and actresses found Donald to be a most supportive actor and the most jovial and delightful company off-set. The film has been renamed "Poisoned Minds" for its re-release. Pleasence made his big-screen debut with "The Beachcomber" (1954). Some notable early roles include 'Parsons' in "1984" (1956), his second Orwell film, and minor roles opposite Alec Guinness in "Barnacle Bill" (1957) and Dirk Bogarde in "The Wind Cannot Read" (1958). In Tony Richardson's film of "Look Back In Anger" (1959) he plays a vindictive market inspector opposite Richard Burton. Equipped with a shiny bald head and a quiet but intense voice to go with his trademark penetrating gaze, he specialised in portraying insane or evil characters, including the violent alcoholic 'Doc Tydon' in "Wake In Fright" (1971), the mad 'Doctor' in the Bud Spencer-Terence Hill film "Watch Out, We're Mad" (1974), 'Heinrich Himmler' in "The Eagle Has Landed" (1976), and the Bond arch-villain 'Ernst Stavro Blofeld' in "You Only Live Twice" (1967), the first film in which the villain's face is clearly seen. His interpretation of the character has become predominate in popular culture considering the popularity of the comic villain, Dr. 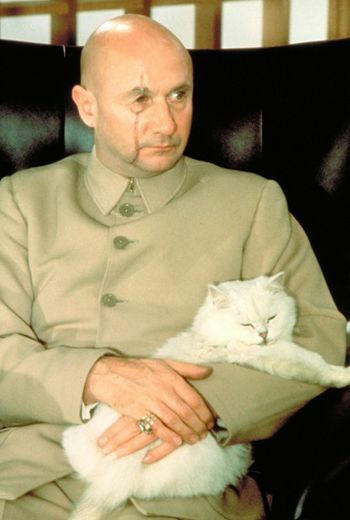 Evil in the successful Austin Powers film series, which primarily parodies it. In the crime drama "Hell Is A City" (1960) he starred opposite Stanley Baker. The film was shot on location in Manchester. Perhaps his most sympathetic screen role was as the tragic POW forger 'Colin Blythe' in the 1963 film "The Great Escape", who discovers that he is slowly going blind, but nonetheless participates in the mass break-out, only to be shot down by German soldiers because he is unable to see them. "In The Night Of The Generals" (1967), he played another uncharacteristically sympathetic role, this time as an old-school German general involved in a plot to kill Adolf Hitler. In 1971, he returned to the realm of the deranged, delivering a tour de force performance in the role of an alcoholic Australian doctor in Ted Kotcheff's nightmarish outback drama "Wake in Fright". Pleasence played 'Lucifer 'in the religious epic "The Greatest Story Ever Told" (1965). His character taking on many dark, shadowy human disguises throughout the film was unprecedented in breathing life into the Luke 4:13 phrase "He left Him until an opportune time". He was one of many stars who were given cameos throughout the film. Perhaps his most bizarre and powerful film role occurred in Roman Polanski's "Cul-de-sac" (1966), in which he portrayed the love-sodden husband of a much younger French wife. In 1968, he ventured successfully into American cowboy territory, playing a sadistic self-styled preacher who goes after stoic Charlton Heston in the "Western Will Penny". In his later years, he became best known to a younger generation of cinema-goers as 'Dr. 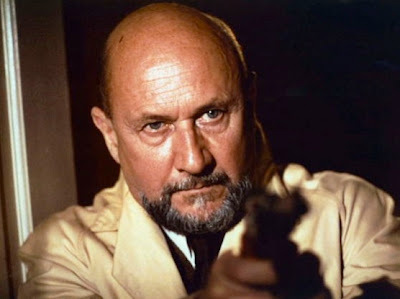 Loomis' in "Halloween" (1978), 'Dr. Kobras' in "The Pumaman" (1980) and the 'President' in "Escape from New York". The distinctive, rather sinister accent which Pleasence employed in this and other films may be credited to the elocution lessons that he had as a child. He reprised his role as 'Dr. Loomis' in "Halloween II" (1981), "Halloween IV" (1988), "Halloween V" (1989) and "Halloween VI" (1995). Pleasence's acting hero was Sir Laurence Olivier, with whom he worked on-stage in the 1950's, and later on the 1979 film version of "Dracula". Two years earlier, Pleasence did an amusingly broad impersonation of Olivier in the guise of a horror-film actor called 'Valentine De'ath' in the film "The Uncanny". During the early 1960's, Pleasence recorded several children's-story records on the Atlas Record label. These were marketed as the "Talespinners" series in the UK. They were also released in the United States as "Tale Spinners For Children" by United Artists. The stories included "Don Quixote" and the "Brave Little Tailor". Pleasence provided the voice-over for the British Public Information Film, "The Spirit Of Dark" and "Lonely Water" in 1973. The film, intended to warn children of the dangers of playing near water, attained notoriety for allegedly giving children nightmares. Pleasence was the author of the 1977 children's book "Scouse The Mouse", which was animated by Canadian animator/film director Gerald Potterton (a friend of the actor, who directed him in the 1973 Canadian film "The Rainbow Boys", retitled "The Rainbow Gang" for VHS release in the United States) and also adapted into a children's recording (1977) with Ringo Starr voicing the book's title character, 'Scouse The Mouse'. In his book "British Film Character Actors" (1982), Terence Pettigrew described him as "A potent combination of eyes and voice. The eyes are mournful but they can also be sinister or seedy or just plain nutty. He has the kind of piercing stare which lifts enamel off saucepans." Pleasence married four times and had five daughters from his first three marriages. He had Angela and Jean with Miriam Raymond (1947–1958); Lucy and Polly with Josephine Martin Crombie (1959–1970); and Miranda with Meira Shore (1970–1988). His last marriage to Linda Kentwood (1988-1995; his death) produced no children. Pleasence was appointed an "Officer Of The Most Excellent Order Of The British Empire" for his services to the acting profession by Queen Elizabeth II in 1994. 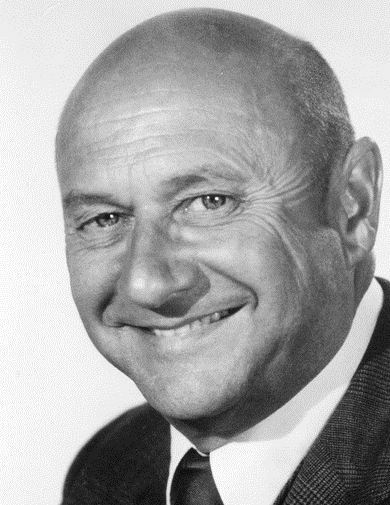 In 1995, Pleasence died at the age of 75 in Saint-Paul-de-Vence, France, from complications of heart failure following heart valve replacement surgery.